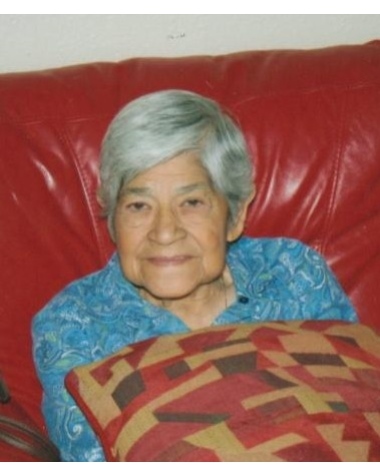 Maria DeJesus Blanco, age 86, passed away on February 9, 2019 in Corpus Christi, Texas. She was born on December 17, 1931 to Anselmo and Tomasa Blanco. She graduated from Roy Miller High School in1950. Maria was employed and retired from Kmart after 20 years. She enjoyed participation in her devotion to God by serving him as a nun in Bakersfield, California, until returning home to help care for her ailing father. She will always be remembered for her quiet nature and mischievous smile. Maria was a loving sister, aunt and cousin. Maria DeJesus Blanco is preceded in death by her parents, sister Inez Maldonado and four brothers, Tomas, Alejandro, Manuel and Valentin Blanco. Maria DeJesus Blanco is survived by numerous nieces, nephews, dear friends and extended family. Visitation will be held from 4:00 p.m. to 9:00 p.m. on Wednesday, February 13, 2019 at Corpus Christi Funeral Home with a Rosary to be recited at 7:00 p.m. that same evening. A Funeral Service will be held at 10:00 a.m. on Thursday, February 14, 2019 at Corpus Christi Funeral Home.